Need Guidance With Estate Planning in Buckhannon, WV? Arranging your finances and assets so they can transition easily to your family members and business partners is an important task. Let the estate planning experts at Carte Hall Certified Public Accountants provide the guidance to help you handle essential estate planning, so that those you leave behind in Buckhannon, WV, will not be burdened. Contact us today to set up an appointment at: (304) 637-2369. 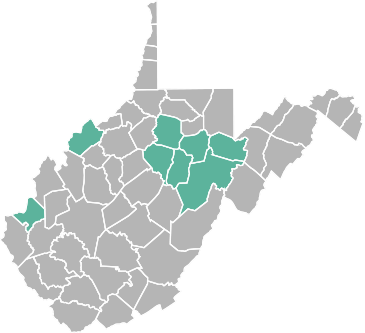 You work almost all of your life in Buckhannon or Sago, WV, in preparation for your retirement. Although exciting, the anticipation of retirement can be stressful if you have not made proper preparations and consulted your accountant to discuss planning for your retirement. We will help ensure that your retirement is as enjoyable and relaxing as possible. You deserve it! At Carte Hall Certified Public Accountants, our financial experts will work with you to customize a retirement plan, monitor it while you are still working, and make sure you have all that you need to fully enjoy your future. No one wants life to be interrupted by a serious, unexpected event, but it happens. The last thing you need when disaster strikes is to lose your assets. When divorce, unemployment, a health problem, injury, litigation, or any other serious tragedy impacts your life, the effects can be devastating for residents in French Creek, and throughout our entire West Virginia service area. For your peace-of-mind, you must prepare for these worst-case scenarios in advance. Carte Hall’s certified public accountants have significant experience successfully protecting the assets of our clients. We will work to safeguard your most important assets so that they cannot be taken from you during the difficult times when you need them the most. The certified public accountants of Carte Hall have significant experience helping individuals and business owners throughout Upshur County, WV, with managing their debt effectively, as well as offering sound advice regarding available finance options. Debt is a part of life and a part of business. If you have questions regarding how much debt you can successfully maintain to make a purchase or buy a business, the expert accountants at Carte Hall are available to assist you. Contact us at: (304) 637-2369.